In this fast-moving, unpredictable world of new technologies, many organizations are tearing down the wall between business and IT. The urgent need for better alignment, collaboration, and empathy between IT development and operations has catalyzed the DevOps movement. 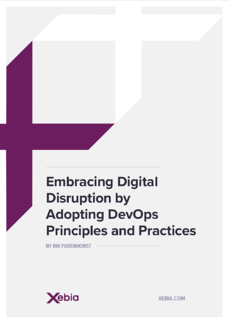 Download this whitepaper and learn how you can combine and implement the five core components of DevOps to achieve a complete rethink and reset of your organization's IT structure and capability.